The northwest corner of the Sunset as seen in 1930. Golden Gate Park is the dark band at upper left; the Great Highway is at the lower left. 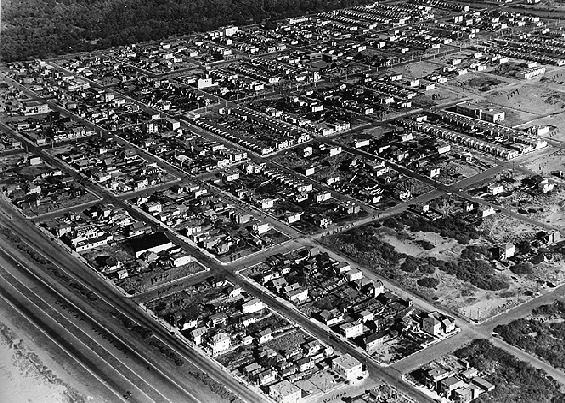 Moraga Avenue is the street in the lower right corner. 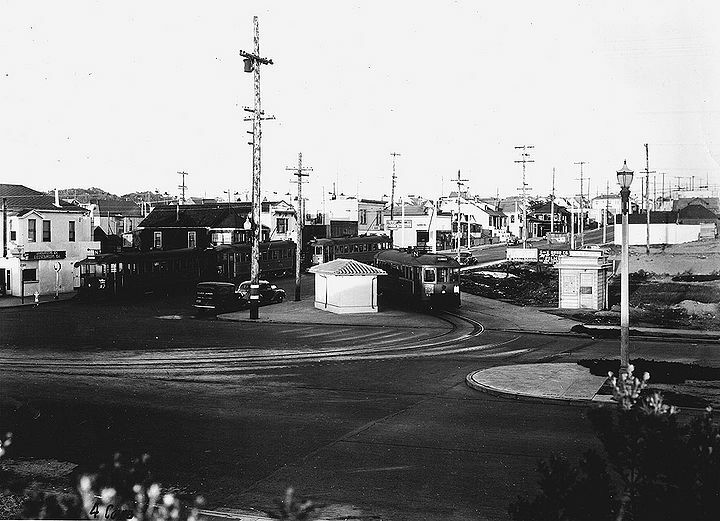 N-Judah streetcar turnaround at Judah and Great Ocean Highway, 1930s.